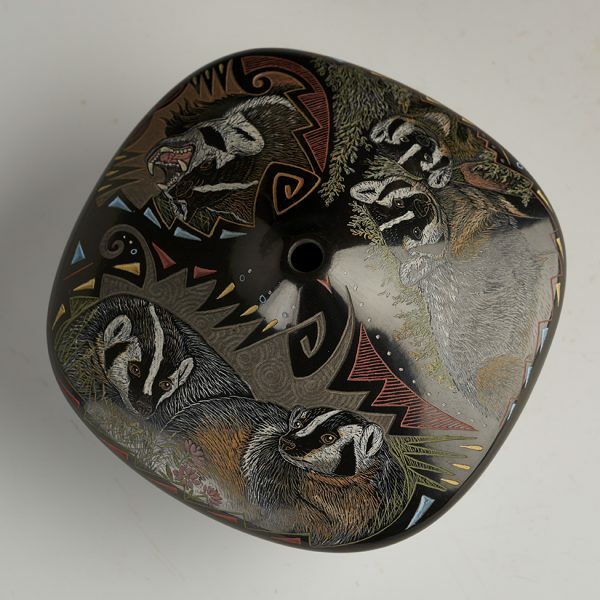 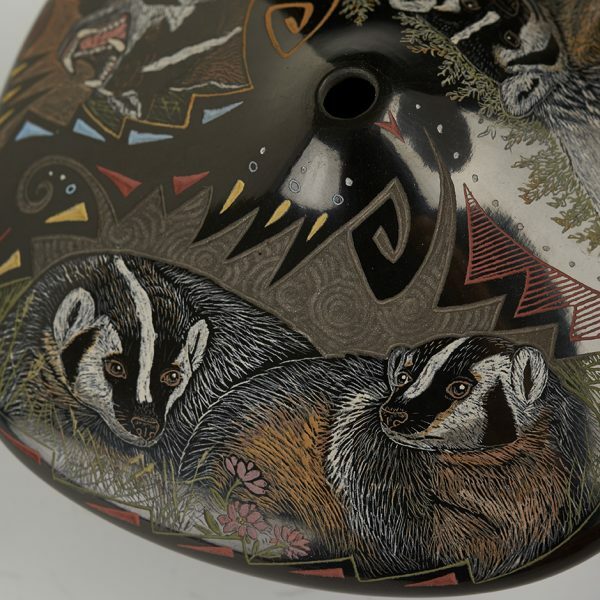 We have never had a pot with badgers on it from Jennifer, so this is a new design. 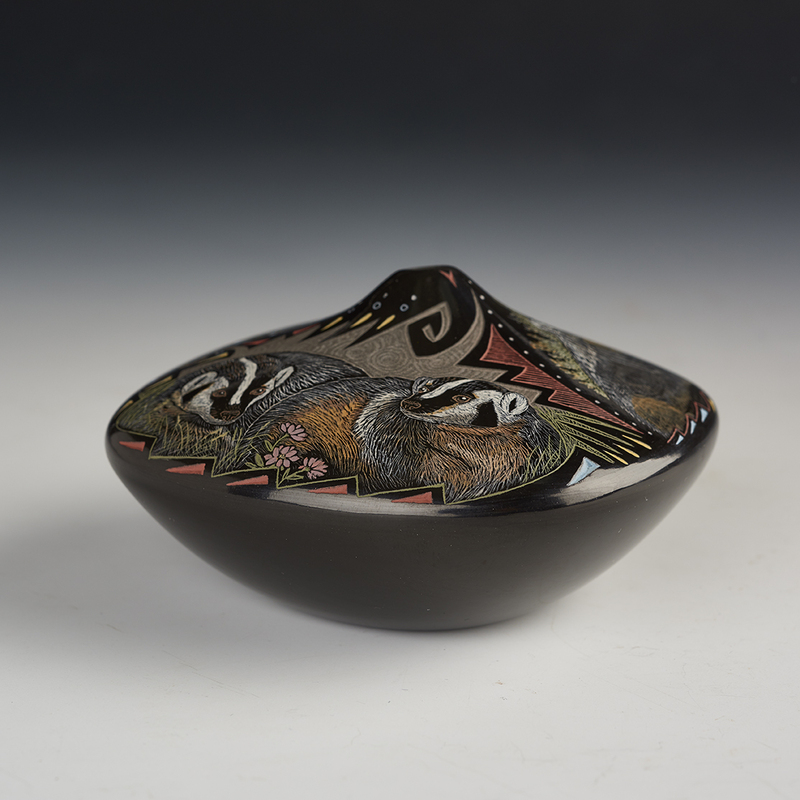 This squared off black bowl is gorgeous. 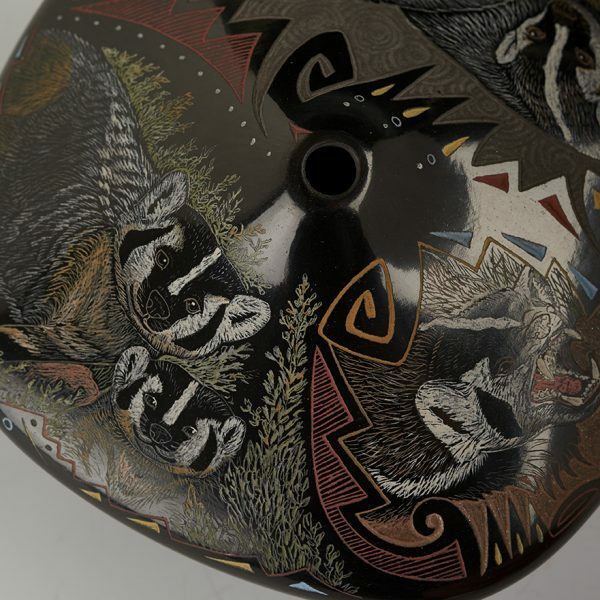 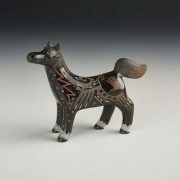 The complete piece is covered with her fantastic incised work. There is a small opening, and the animal and forest images just pop ! 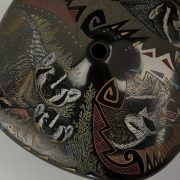 It’s hard to photograph because the shine is so pronounced. 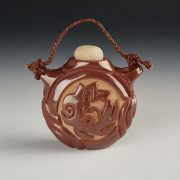 Jennifer is an amazingly talented artist.